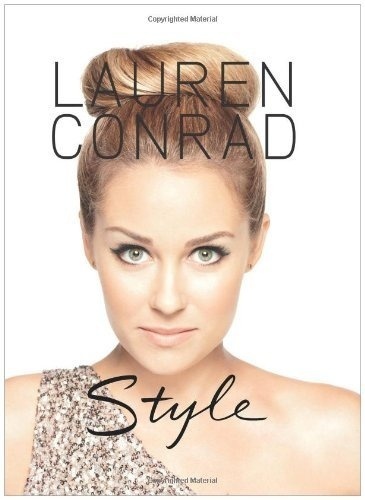 Lauren Conrad is the bomb.com these days. You can check her out in every magazine, all over Pinterest, and wearing her fabulous personal styles all around town. Lauren has def been one of my favs since the Laguna Beach era. She was always the charming best friend, who everybody loved. Except Kristin, of course. Well, ever since I got her book, Style, 3 years ago, Lauren has totally been a fashion icon for me. From how to do your make-up for photos (since I hit the red carpet all the time) to figuring out what you should splurge on, she has the best tips for creating your own style and making it work for you. Every chapter was about a different section of your wardrobe and it told a different story. Lauren totally has a way of making you feel like you know her! My all-time favorite look that Lauren rocks is her signature effortless one. No matter if its an oversized sweater and Chloe boots, or high-waisted shorts with a lightweight top and her Chanel purse, she always has a piece that ties it all together. These looks are SO easy to match on a low-budget, you’ve just gotta look at the right places. One of my go-to stores for slouchy sweaters is H&M. If you go right at the beginning of Fall, you can totally score lightweight essentials for layering. Since I’m in the South, and we don’t need thick wool kinds, I love a flowy, oversized assortment of tops to go with my leggings and boots. Have you “liked” my page on Facebook yet??? You should!